Now I’ve no idea where Dunscar Bridge is, let alone it’s famous brewery but that’s fine, as it always adds a certain touch of exoticism to proceedings. It’s near Bolton. 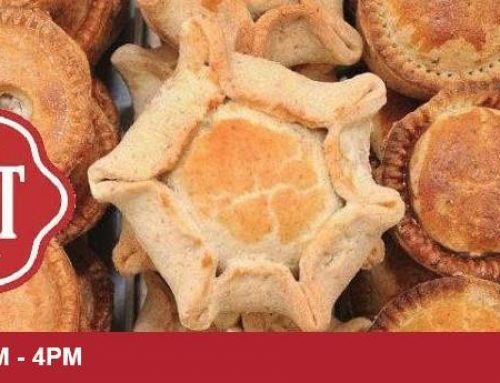 Figures really seeing as that is where Greenhalgh’s is based, indeed with a fair wind blowing in the right direction you could probably get a waft of baking pies heading in towards the Macron Stadium should you be sat in the upper tier on matchdays. 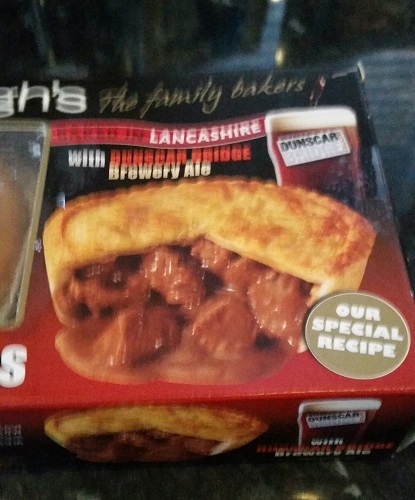 Even so, I like a steak and ale pie, but what I like even more is when they don’t just call it a steak and ale pie, but they NAME the ale that is included inside it. Even though by naming the contributing beverage they have de-mystified it, they have also somehow added allure to it. “It’s not got just ANY OLD ale in it, it’s got Dunscar Bridge ale” You see? 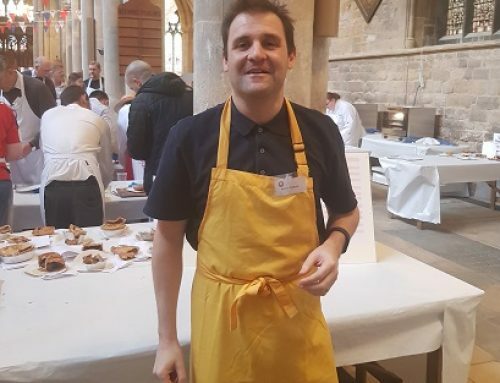 And let’s face it, you’ve got to assume that a top up of local brewery hand pulled ale would taste better than pouring half a can of lukewarm Stones’ through the hole in the top crust? Well let’s see! 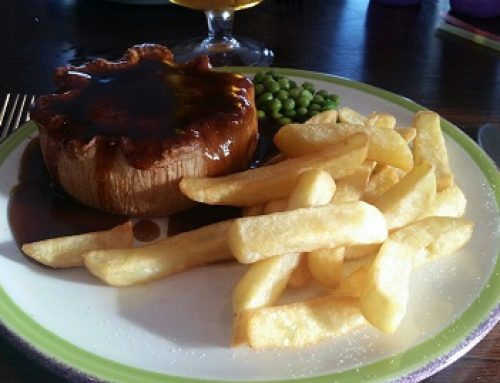 Despite being based in Bolton, Greenhalghs are omnipotent in Wigan and have a fine selection of pies ranging from the standard to the spectacular. 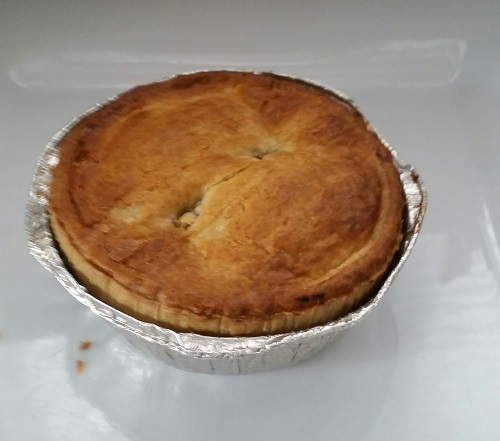 You may recall my vindaloo pie. Ooh that angry chilli still gives me nightmares. Furious it was! 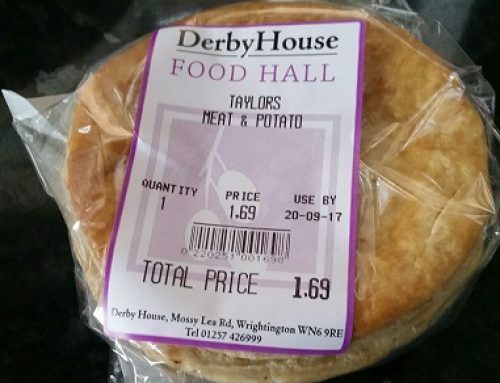 However, this particular product was procured from the freezer aisle in Asda and cost £3.00 for two pies, presumably to share (I ate them both). From what I can see, this is a departure from the norm as although they have managed to bag a slot in the marvellous Booths supermarkets a while ago, it’s still generally fresh produce. 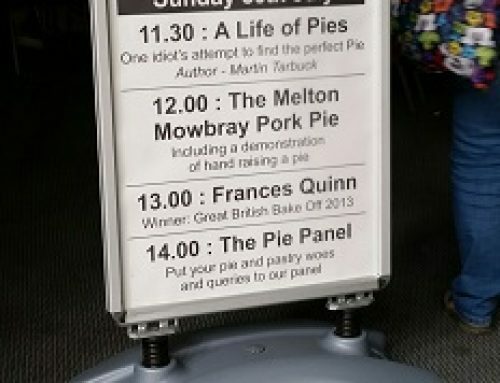 So, despite being at the mercy of my oven timings, how would they fare? Well very good is the answer. I was aghast at the quality of the chunks of meat. 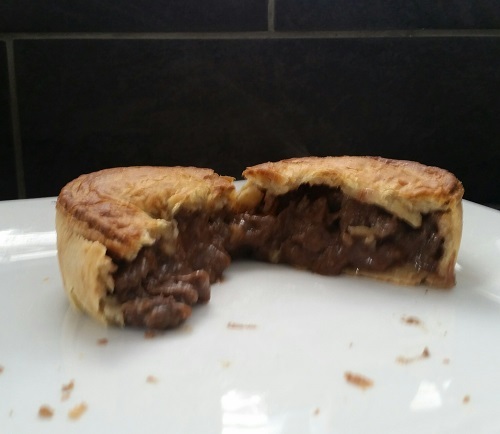 Robust and full flavoured and almost marinated in a dark ale soaked gravy, they came tumbling out of the pie to breathe for air, the second I cut into it. The crust was slightly flaky but not sufficiently so as to cause an explosion and the gravy was authoritative and didn’t wriggle all over the place. In summary, an excellent feed. The ale? As ever, I didn’t really notice but then it’s not there to get you pissed it’s just to add a bit of flavour. It’s not an ale and steak pie, or even an ale and steak pint. Oh dear that doesn’t sound too good. I always have to lower the tone don’t I?